Three brandings down for the ranch and two to go before the cows are turned out to summer range! Branding days are big but super fun! The hard working cowboys and cowgirls help turn this big work day into a social gathering as well for friends and neighbors! Even the kid cowboys love this day! 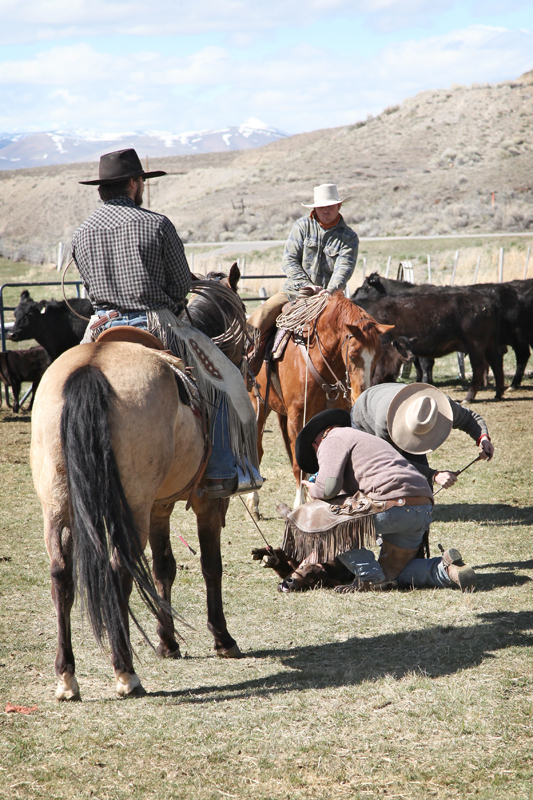 Top notch ranch ropers and ground crews come to help on branding days and the favors are paid back when it comes time for their brandings! A good hearty meal at the end of the day and another successful branding is complete!